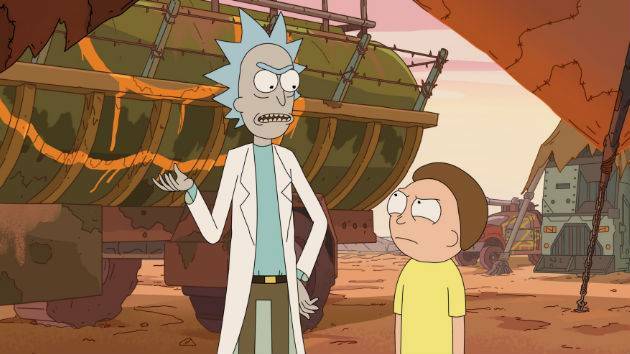 McDonald's announced the return of its Szechuan sauce, popularized by hit show Rick and Morty, for a limited time. Except both the supply and the time it was offered disappointed some serious fans. (NEW YORK) — After the hit animated show Rick and Morty generated massive interest in a McDonald’s condiment they no longer produce, the fast-food empire announced they would reintroduce it for a limited time this weekend, only to disappoint people when the demand outmatched the supply. The Szechuan sauce debuted when the Disney film Mulan was released in 1998 and was discontinued soon after. Fans signed a petition demanding that McDonald’s bring the sauce back. McDonald’s responded. It was only to be available for a very limited time on Saturday, and only in select stores. The New York Times reports that people were upset because they couldn’t get McDonald’s limited-edition Szechuan sauce and took to social media to excoriate the fast food giant. But the lines were long and the sauce ran out. Employees were overwhelmed with requests for the sauce. McDonald’s had seriously underestimated just how popular it would be. People took to social media to complain. Videos appeared showing long lines, angry chanting and even a small riot. McDonald’s tweeted that the coveted Szechuan sauce will return again this winter to more places, for a longer time, though the company did not specify exactly when.